Here I am putting the final touches on my painting for the Raincoast project. I was asked to do something that would fit in the wildlife section of the book, so there is a solitary seagull flying through the image. July was a month of constant travel with a lot of teaching. I plan to stay put for most of August and hit the studio hard. I have a group show at the Federation gallery in Vancouver that opens on Oct 30th, so I will need quite a few new pieces for that. Details about the show are on my website. Here's the progression of my newest large painting. 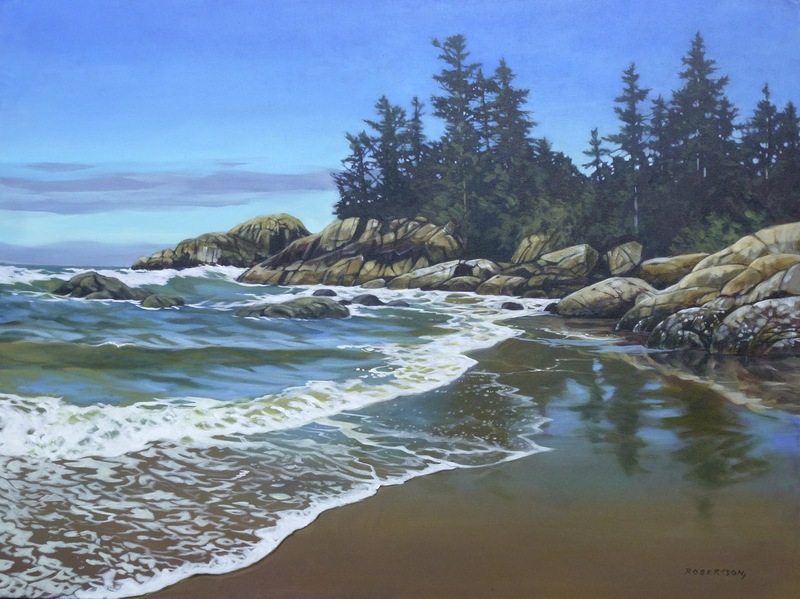 It's of one of the many stunning beaches on Calvert Island. 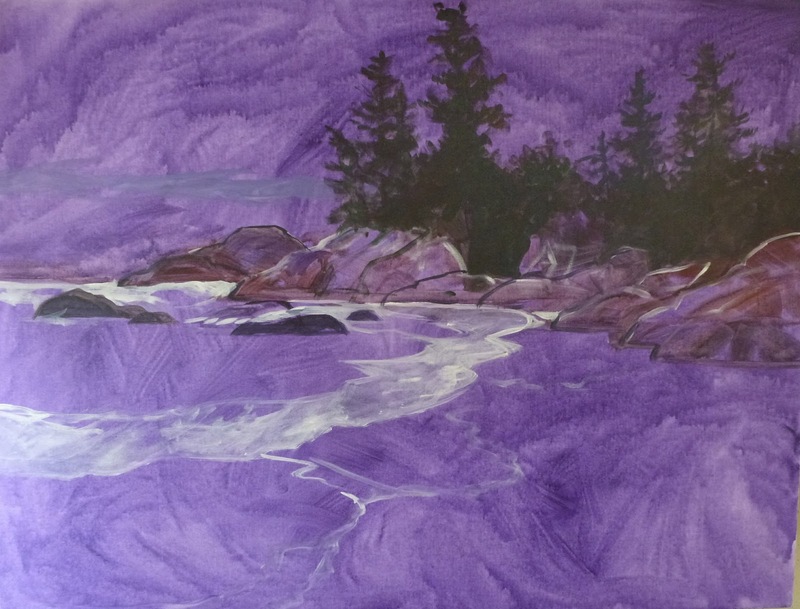 I decided to start with purple underpainting, just for fun and because that's what my friend, Mark Hobson, does in all his paintings these days. 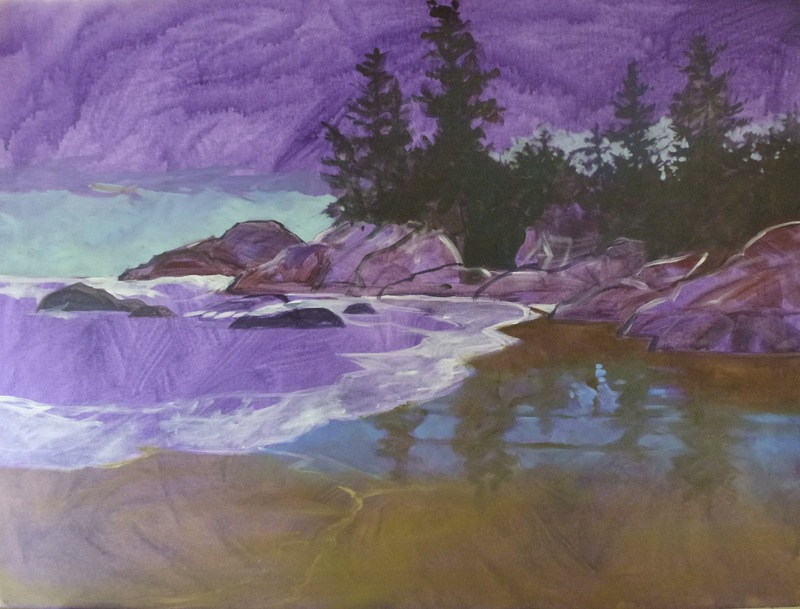 In a way, I don't think the underpainting color is all that important. Different colors of underpainting may give a slightly different final effect, but I don't think there are any wrong colors to underpaint. We all have our favourites and mine is probably still quinacridone gold. This painting will be on it's way with me to Whistler next week, when I go up to teach a 3 day workshop. I will be having a little feature of my work at the Adele Campbell Gallery in the Westin Hotel, Friday, 5:30 to 7:30. Please stop in and say hi if you are in the area. 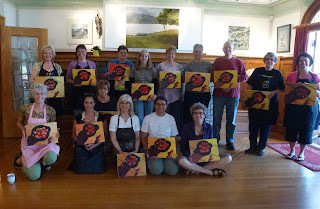 Here's my gang from the basic acrylics workshop I did last week at Coast Collective in Victoria. I had a blast with everyone- a wonderful group of 13 women and one brave man. 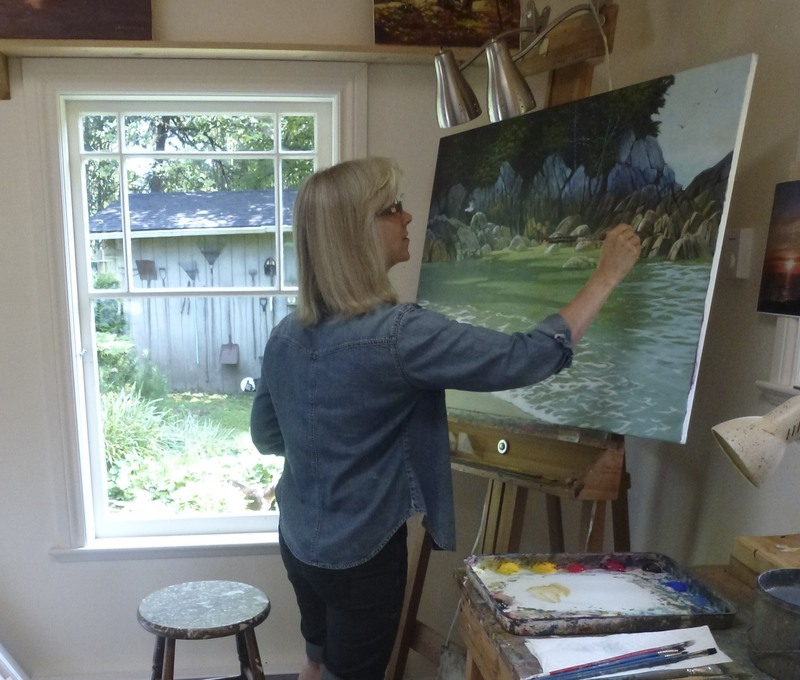 Coast Collective is an art centre in the Esquimalt area of Victoria, housed in a beautiful stone mansion on the edge of Esquimalt Lagoon. The Centre is the creation of 5 dynamic women and has a large art gallery, gift shop and classroom space, plus outbuildings that are home to a variety of creative pursuits. 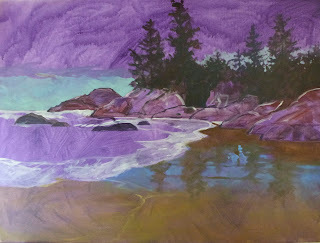 The workshop program is ongoing and I have already committed to go back in March for an intermediate acrylics workshop.